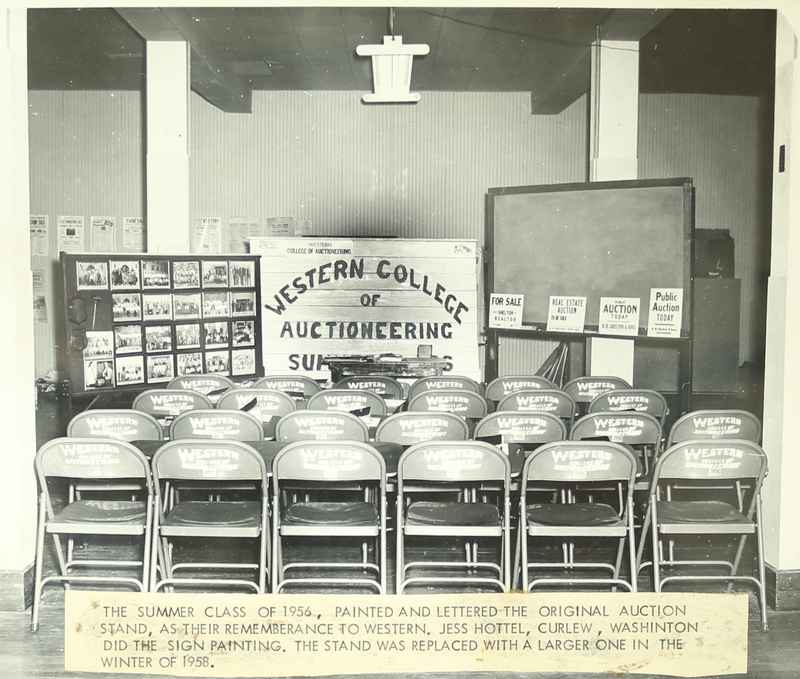 Western College of Auctioneering was founded in 1948 by Bill Hagen and Norm Warsinske, both highly regarded auctioneers in their time. In 1951, Bob Thomas bought Norm’s share of the business and he and Bill Hagen ran the school together until 1983 when Bill retired and sold his interest to Bob. In 1984, Jerry and Gayle Ellis purchased WCA from Bob Thomas. They successfully operated and expanded the school until 2013 when they retired and sold WCA to Nick Bennett. Over the past 71 years, WCA has developed a proud history in Montana, across North America and around the world. With over 5,600 graduates from nearly every state in the United States, multiple provinces in Canada and numerous foreign countries, WCA has long been a highly regarded educational institution for those studying the auctioneering profession. WCA staff take deep pride in developing each auctioneer. 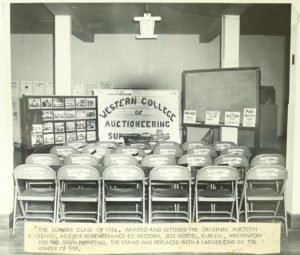 WCA is pleased and proud to note that many International, National and State Champion Auctioneers started their careers here at Western College of Auctioneering!